- We understands that quality matters a lot to you and we do our best to improve. - Highly precise dimensional accuracy with great surface finish. - Purest silicone material and highest durability. - Any size, any design and any color available with maintained high quality. - Friendly support service to serve your need better. Click Here to Get Your Best Quote ! Simolex rubber is capable of manufacturing silicone rubber extruded profile of wing bumper shape. Our wing bumper shaped silicone strips, seals and gaskets are available in every custom size and color. We also accept different kind of design customization based on your application requirement. Our wing bumpers are highly durable with top notch surface finish. Our in house tooling and mixing allows us to provide on time delivery and superior quality with ability to adopt virtually any design. Here are few advantages of simolex over other manufacturer. On Time Delivery every time so you don’t miss your schedule. You will never have to worry about quality, because our quality engineers will do every single thing they can to improve your products. We are one stop solution for your silicone bumper, seal, gasket design and manufacturing. Our customer service is available to help you every time you call us. We are flexible like rubber. Contact us for any kind of silicone wing bumper requirements. Fill up the form given below or just give us a call at : (734) 453-4500 to get your best possible quotes. 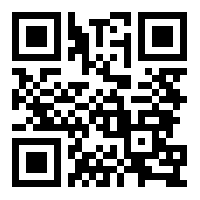 Scan below QR code to visit our website from your mobile device ! Copyright © 2019. Simolex Rubber Corporation. All Rights Reserved. All pictures and content is property of Simolex Rubber Corporation. Do not use or publish it without written permission from Simolex Rubber Corporation.